Everyone’s had issues and misgivings about the war against body hair. However, knowing and really understanding these hair removal facts and fictions could make the fight go a lot smoother. In order to win the battle against body hair, here are four of the most common hair removal myths debunked. Hair Removal Myth #1: Shaving will make your hair grow back thicker and coarser. Fact: Body hair that’s untouched feel and look thin and soft because it lies flat and is tapered. When you shave it off, the ends will get blunt and grow upright, which makes it look and feel thicker, even when it’s the same. For a smoother and more precise shaving experience, exfoliate first. This will remove dead skin cells that could block the blade. Hair Removal Myth #2: Waxing is always painful. Fact: While you can’t really get rid of the pain during waxing, and tweezing or laser hair removal for that matter, you can significantly reduce it with smart planning. Schedule your waxing session at least two weeks following or before your period so your hormones will be more stable and will not make you more sensitive to even the slightest pain. You can also try distracting yourself during your waxing session in Salt Lake City by holding on to a squeeze or vibrating ball, or tinkering on your smartphone to try and interrupt your pain pathways. Avoid stimulants like alcohol and caffeine before your session as well, as these will tighten your pores and make hair removal more painful than it should be. Hair Removal Myth #3: Get laser hair removal so your body hair won’t grow back ever. Fact: The laser hair removal process basically involves killing hair follicles by zapping them with a laser. You’ll notice hair falling off in about 10 to 14 days following the procedure. It’s important to keep in mind that the laser can only zap away hairs that are actively growing, which is usually about 25% of the entire area. Because of this, you’ll need to undergo at least six laser sessions to target every hair follicle you want to be killed. Even so, some follicles will still grow hair. 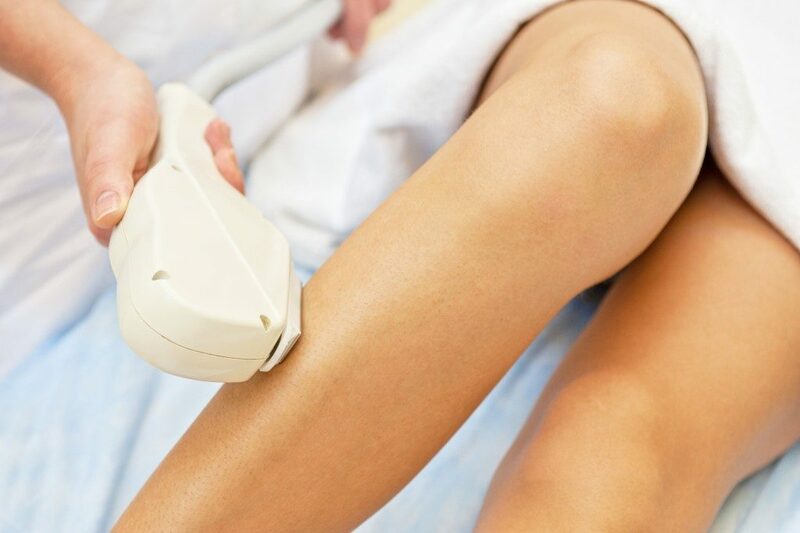 So no, laser hair removal isn’t really permanent. You’ll also need to get touch-up treatments at least once a year to fry resistant follicles. Hair Removal Myth #4: If you have thick, coarse hair, you need to leave the depilatory on longer than recommended. Fact: Always follow manufacturer instructions when using any depilatory because some ingredients could cause itchy red rashes and inflammation if you let them sit too long on your skin after the recommended time has passed. This is known as irritant contact dermatitis, and it’s no fun. So resist the urge let the depilatory sit on your skin for longer thinking that by doing so will result in better outcomes because it won’t. Regardless of which hair removal method you prefer, understanding that these four common myths are just that — myths — will help you decide which hair removal technique is best for you.